The successful European championship involving two of Europe's leading sporting and Olympic nations -- the Netherlands and Italy -- follows recent headlines by the BBC, France24 and Russia Beyond the Headlines that the sport of baseball/softball is experiencing a steady rise in popularity and participation levels in Europe, particularly among the youth. Forty-five matches were contested at the XXXIII European Baseball Championship, which was co-hosted in the cities of Brno and Ostrava, Czech Republic and Regensburg, Germany. 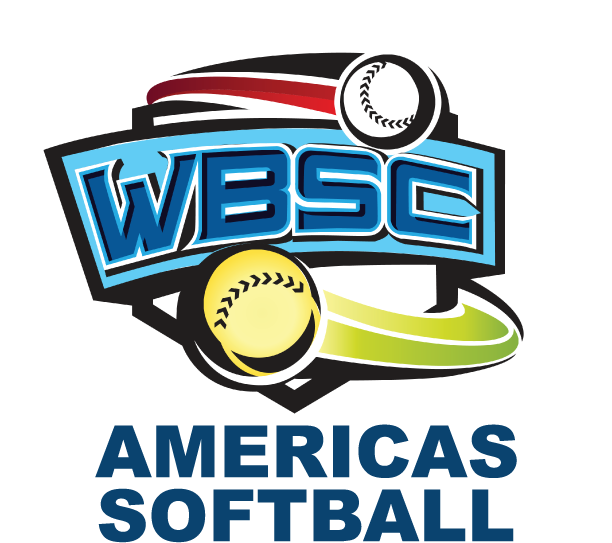 As well as growing popularity, the European and other international championships have highlighted the increasing competitiveness of the European continent and European baseball nations, which is shaping a new world order and a global restructuring of the bat-and-ball sports, according to World Baseball Softball Confederation (WBSC) President Riccardo Fraccari. Baseball and softball, along with other sports, are hoping to be eligible for possible Olympic consideration at the Tokyo 2020 Games, pending discussion of a more flexible Olympic sports selection process at the IOC extraordinary session in Monaco in December. "The growing competitiveness of baseball and softball in new and non-traditional territories, and world regions such as Europe, has been driven by increasing popularity and development of the bat-and-ball sports through well-organised National Federations, professional and youth league partners, grassroots clubs, competitions, coaching, new playing facilities and community interest -- which is maximising the appeal of our sport to young people, sponsors and broadcasters," Fraccari said. "The expanding global spread of nations performing in final rounds of international championships is showcasing baseball and softball to new domestic and international audiences and generating increasing interest and participation in bat-and-ball sports, especially among young people, and women in Muslim countries. We are very encouraged by the steady progress being made in Africa -- and in Europe, the cradle of modern sport, which is now embracing softball and baseball," he said. Within the last few years alone, a number of new baseball/softball venues have been born around the world, with historic firsts in Ghana and Uganda, Africa -- and in Europe, in places like Brest, Belarus; Essex and Farnham, U.K.; Hoofddorp, Netherlands; Mainz, Germany; Parma, Italy; Sundbyberg, Sweden; and Vác, Hungary. "Our sport has never been more universal than it is today -- across both genders -- which highlights the excellent strategic planning and commitment of our National Federations and our global stakeholders to advancing baseball and softball in Europe and around the world, and in attracting young talented athletes to our sport," Fraccari said. The wave of growth in Europe recently saw the Confederation of European Baseball celebrate the opening of its new headquarters in Zagreb, Croatia and launching of a new website. Europe has now surpassed Asia with a total of five nations within the Top 20; Asia currently features four nations among the world's twenty best, according the latest Official World Baseball Rankings released today by the WBSC, following the results of the European championship. The Netherlands' continued success on the international stage, including capturing the world title in 2011 and placing 4th at the 2013 World Baseball Classic, has boosted the Dutch's ranking to fifth in the world -- the highest-ever ranking for a European nation. The Netherlands is now ranking just behind USA, Japan, Cuba and Chinese Taipei, and ahead of other established powerhouses like Canada, Dominican Republic, Puerto Rico, Venezuela and South Korea, which make up the Top 10. The Top 20 also includes Israel's historic breakthrough to No. 19 -- which has generated media attention in Israel (see Jerusalem Post article: "Israel baseball rises to 19th in world rankings"). No. 22 ranked Great Britain finished 9th in the European Championship and recently inaugurated the U.K's newest baseball/softball facility in Essex, which will boost further development in the region. The European championship also followed the first-ever international baseball competition hosted by France, which showcased the new baseball venue in Senart -- which lies a short distance from Paris. The international baseball series -- which featured Belgium, France, Netherlands and a professional club from Japan -- was an unprecedented event in France. The European Championship ran from 12-21 September and featured the twelve National Teams of Belgium, Croatia, Czech Republic, France, Germany, Great Britain, Greece, Italy, Netherlands, Russia, Spain and Sweden. Italy's silver at the European showcase locks their ranking at No. 11 in the world and helps better secure their position to be one of the top 12 nations that will qualify for the new flagship event, the Premier 12, which will be launched in November 2015 in Taiwan. Spain earned the bronze medal in Brno and has risen to No. 16 in the world -- Spain's highest ever ranking. Co-host Germany placed 5th, behind fellow co-host Czech Republic. The German squad was Europe's top performer, finishing 9th out of 18 nations, at last month's high-octane U-15 Baseball World Cup in Mexico, which has elevated Germany to their best-ever world ranking, at No. 17. The European championship also followed softball's flagship event, the Women's Softball World Championship, which was hosted in Europe for the first time in history, in Haarlem, Netherlands last month. The World Baseball Rankings will be next updated following the Asian Games -- Asia's pinnacle multi-sport spectacle -- where baseball and softball are currently being featured on the sports programme together.